Uncover your exotic side and re-create the colourful and vibrant celebrations of Songkran, Thailand’s traditional New Year festival. Thai New Year is celebrated in April with traditions including colourful Songkran parades and festivals, religious ceremonies, and almighty water fights – which represent the washing away of sins from the previous year. But there’s no need to miss out here in the UK, as Chang Beer and Thai Taste are here to help you and your friends host your very own Songkran dinner party for that ultimate Thai experience! For recipe inspiration visit http://www.changbeer.com and http://www.thaitaste.co.uk. This East-meets-West recipe is a mouthwateringly original dish. Makes four small pot pies or one large pie. 1) Heat the oil in a large pan and add prawns. Cook until just pink and remove from the pan. Wipe the pan with kitchen paper and add a little more oil. Add shallots and mushrooms, and cook for a couple of minutes until the shallots are soft and mushrooms lightly browned. 2) Stir in the curry paste and cook for another minute. Add the fish and prawns to the pan and stir to coat with the curry paste. Add the coconut milk and kaffir lime leaves. 3) Reduce the heat to low and simmer for about 10 minutes. 4) Preheat oven to 200°C, Fan oven 180°C, Gas Mark 6. 5) Unroll the pastry sheet onto a lightly floured work surface. Set one of the pie dishes upside down onto the sheet and cut a circle about 1cm larger than the dish. Repeat four times. 6) Divide the fish mixture between the pie dishes. Brush the dish edge with water and place a pastry lid over the top of each dish, pressing firmly onto the pastry rims to seal. Cut some holes in the top to allow steam to escape. 7) Brush the top of each pie with beaten egg, then bake for about 15-20 minutes until the pastry is puffed and golden brown. (If making one large pie cook for 20- 25 minutes). 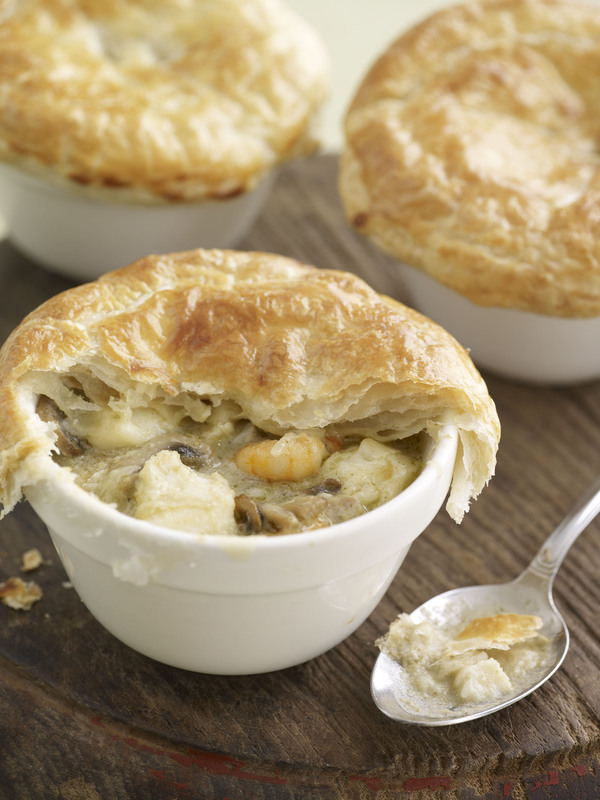 8) Serve the pies hot with a selection of vegetables. 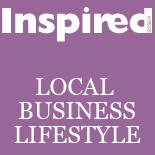 This entry was posted on April 19, 2012 by inspiredessex in Dine in Style and tagged Chelmsford Magazine, dine in style, essex food, Thai new year recipes, thai recipes.